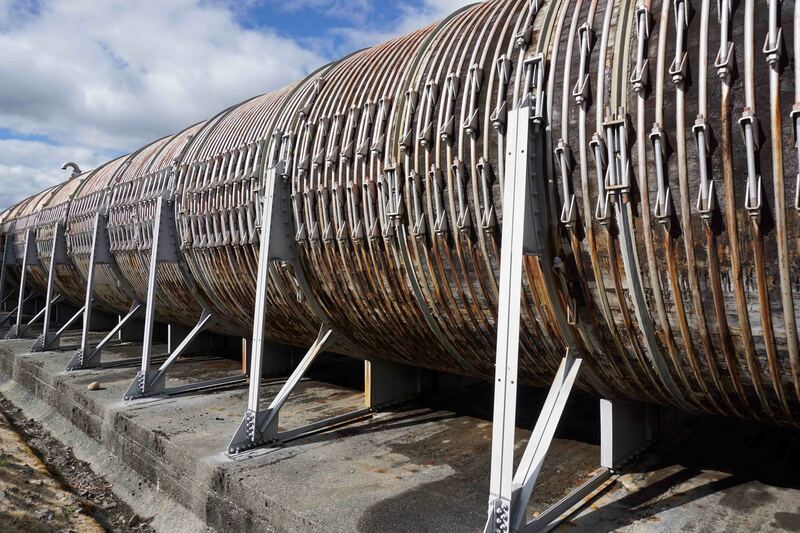 Late in July this year, an exhibition opened at the Tasmanian Museum and Art Gallery (TMAG) which put ‘Tasmania’s iconic River Derwent on show’. This free-to-attend exhibition will continue on display until 5 November. 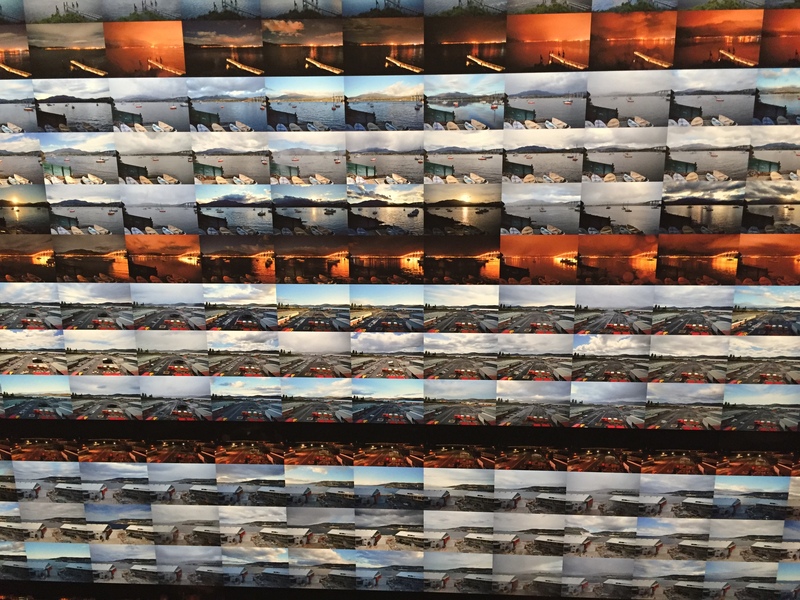 The exhibition features the time-lapse photographic and video work of David Stephenson and Martin Walch, taken over a 5 year period. 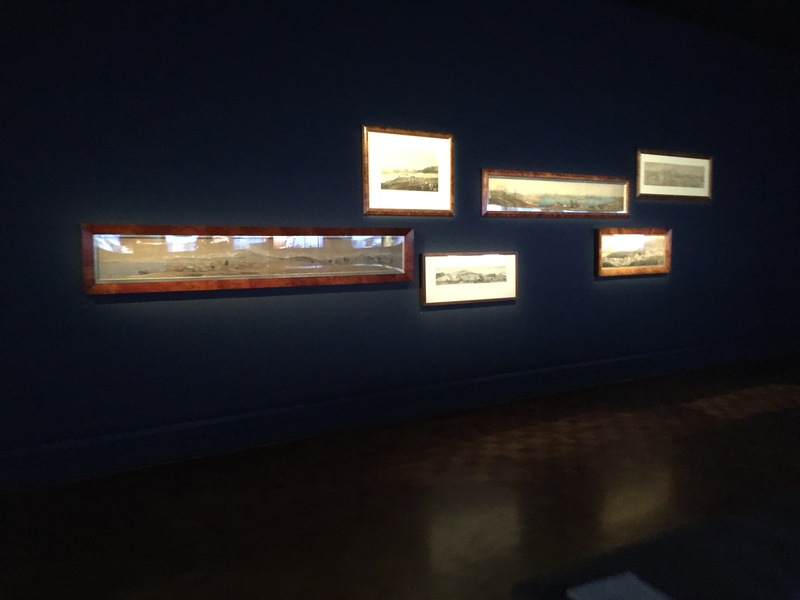 In addition, TMAG has brought out a selection of their permanent collection’s 19th century drawings and paintings depicting the Derwent river around the Hobart area. 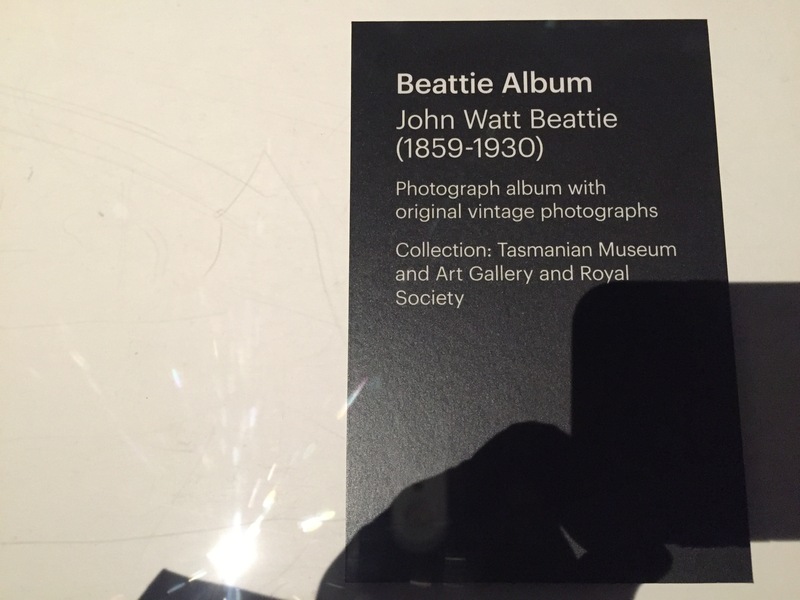 In the centre of one gallery space, a display box contained photograph albums from the late 1800s. 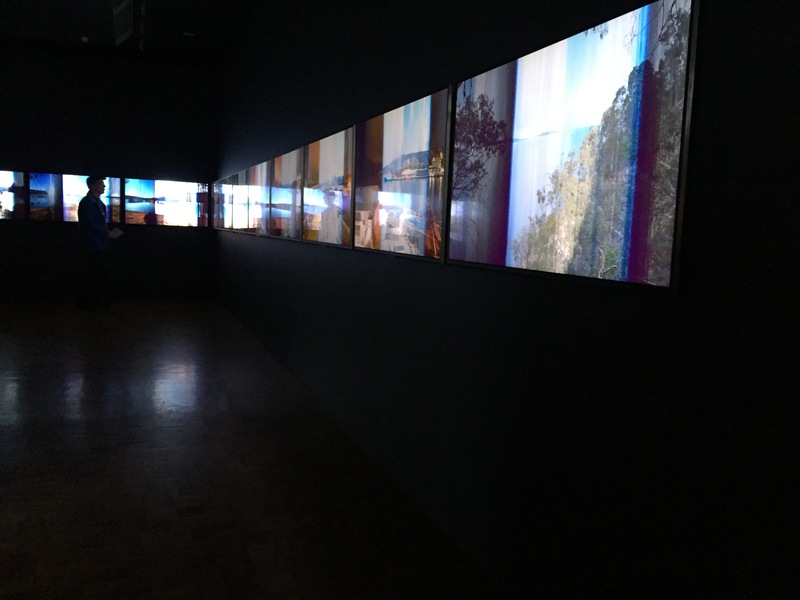 Based on the larger ‘The Derwent Project’, viewers at the exhibition are presented with large scale works which provides one indicator of the large scale of our Derwent River. 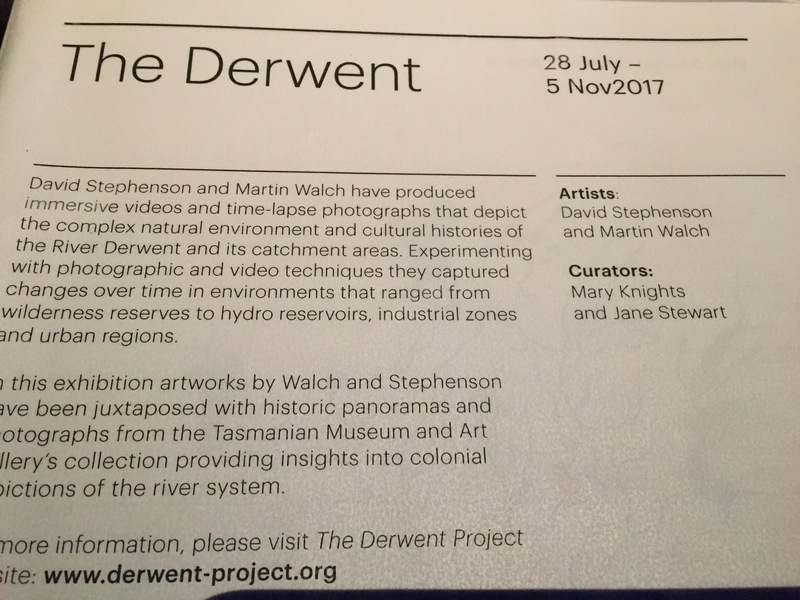 Descriptive still images are provided on the Derwent Project website so you can get some appreciation of what to expect when you visit the exhibition. 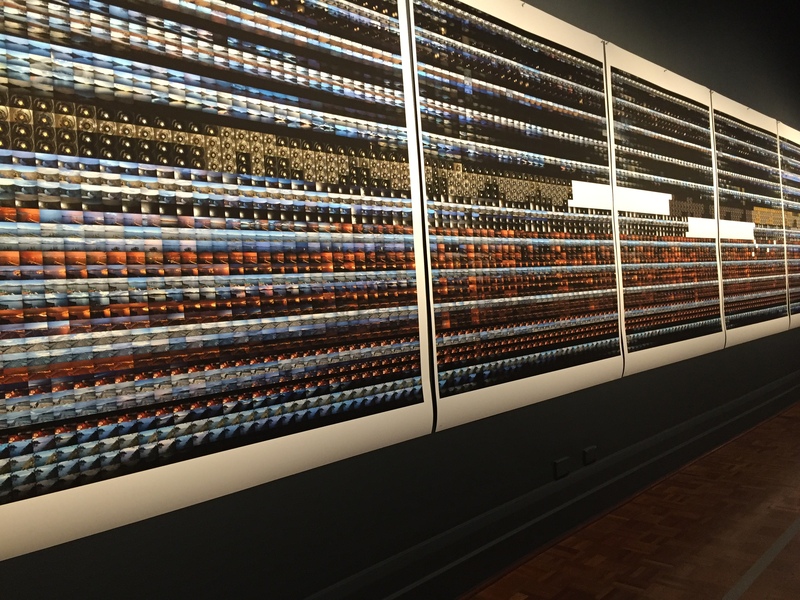 The photographic works are wall-sized composites of thumbnail photos. 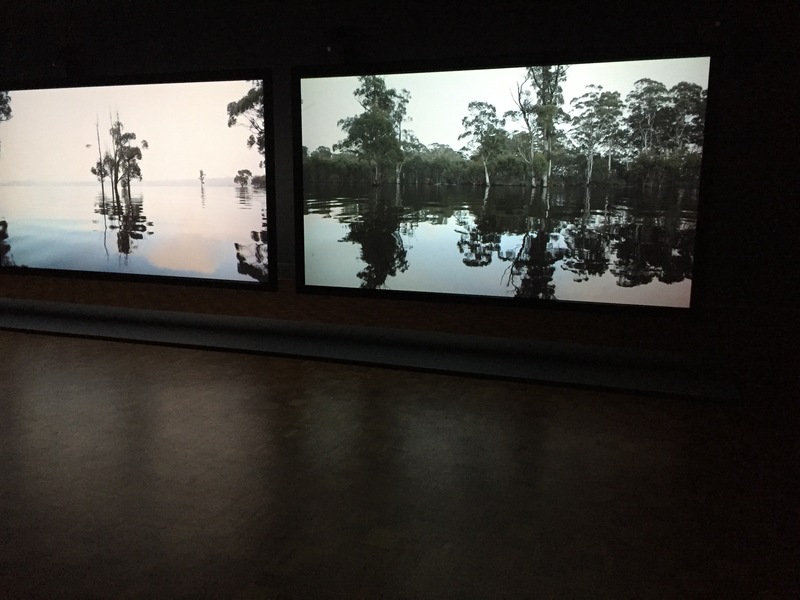 The videos are gigantic projections of the changing waters of the Derwent – along the side of one very long museum wall. I loved the silky silvery quality in the videos. In addition , large image shift pictures changed as you watched in another gallery space. The Mercury newspaper reported ‘Two men, one river, a vision splendid’ and show photos of the artists and other images from the exhibition. 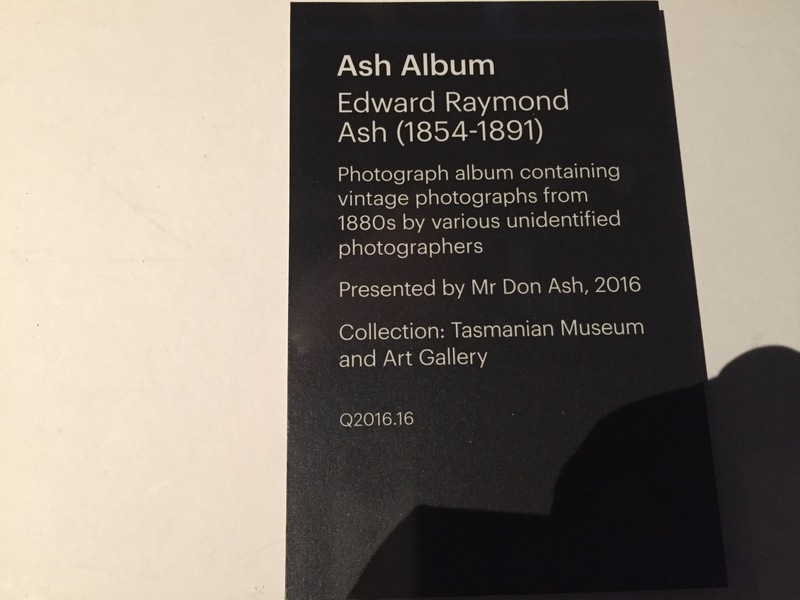 This entry was posted in Derwent River, Tasmania and tagged David Stephenson, Martin Walch, Tasmanian Museum and Art Gallery, The Derwent, The Derwent Project, TMAG on October 11, 2017 by Tasmanian traveller. Below I have included an excerpt from the most recent publication of Tasmanian-based internationally renowned author Robert Dessaix: The Pleasures of Leisure. In the last pages of the book, when Robert was discussing travel and its connection to leisure, I realised he was expressing my reasons for the Walking the Derwent project as he talked about his view of travel destinations which satisfy. “As far as I’m concerned, for a place to be worth going to, three things must dovetail: firstly, it will be somewhere behind enemy lines because that puts you on your mettle – so Canada is out; going to Canada is just like staying home, but colder. Canada is nice. Canadians are nice. You don’t want ‘nice’ when you travel. The god of travel, after all, is Hermes – god of boundaries and boundary crossings, of transition and transgression, constantly darting in and out of enemy territory. In a word, he’s the god of changing places. I doubt Hermes could even spell ‘Canada’. Uganda, on the other hand, is definitely behind enemy lines, as is Cuba (so far as I’m concerned), but neither of them strongly tempts me as a destination because I doubt I’d find myself interesting there. It’s not a judgement on Uganda or Cuba, but on the match. It’s like a conversation, really, any conversation that leaves you feeling elated: you want to be part of it so long as it makes you feel larger, richer and more interesting than you’ve felt up to now, so long as it magnifies something you cherish, so long as it makes what could feel unremarkable (about you or the universe) remarkable, as someone you love does. To be remarkable in itself – as the Taj Mahal is, or Machu Pichu, or Angkor Wat – is not enough. It must make everything that has been ordinary about you now feel extraordinary. That’s the second criterion in where to go. 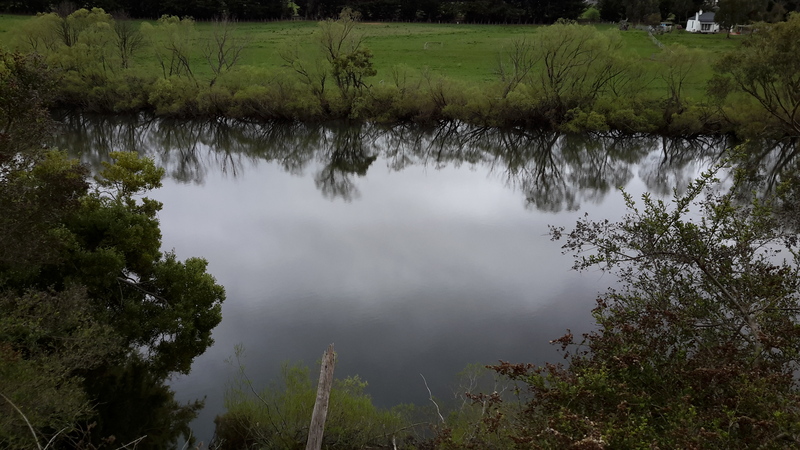 To walk against the Derwent River from the mouth to the source took me onto land that belonged to others and into and through forested landscapes which were never designed with the expectation that humans might roam the earth. 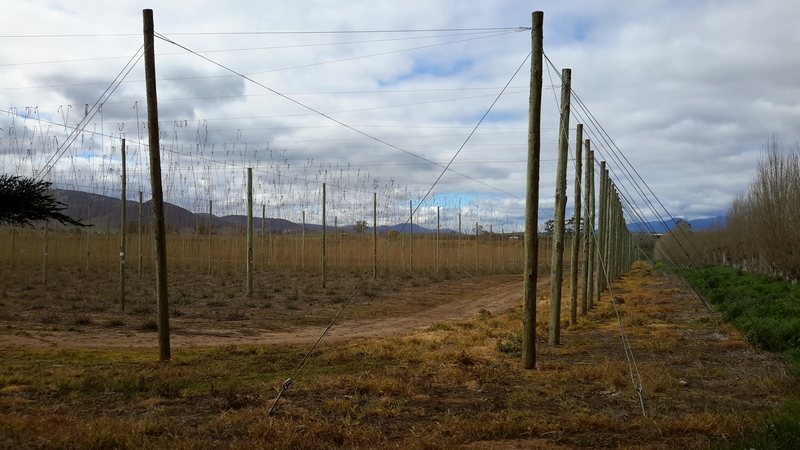 I never thought of landowners, their fences and gates, or the bush as enemies, but their expectations and nature kept me ‘on my mettle’. Despite working hard on each stage, my walks left me ‘feeling elated’ and ‘larger, richer and more interesting than’ I had felt up to that point. After the adventures of each walking stage along the Derwent, I felt more alive and even more excited to go on living, and to travel more for new experiences. Dessaix’s exposition helps me to understand why I have not felt the need to travel overseas. The Derwent River and the Tarkine locations are close to home yet they offer the three essential ingredients: they put me on my mettle, make me feel richer and more interesting, and stimulate my hunger for more. Robert Dessaix offers a myriad of wonderful ideas in his book. I recommend you add it to your reading list. This insightful book is so wonderfully easy to read and offered me a great deal of pleasure on every page. 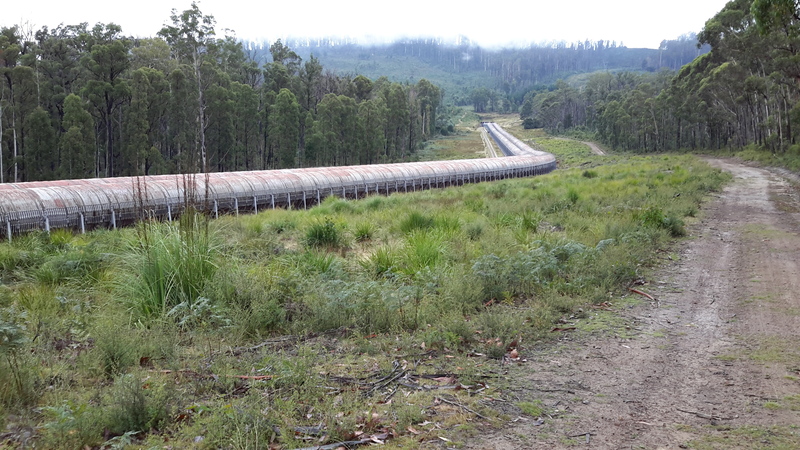 This entry was posted in Derwent River, Tasmania, Walking and tagged Derwent River, Robert Dessaix, The Pleasures of Leisure on July 22, 2017 by Tasmanian traveller. Over the weekend one of my favourite bloggers This Amazing Planet published an image from his latest foray into Tasmania’s south. The location of his ‘viewing platform’ is indicated on the following Google map. 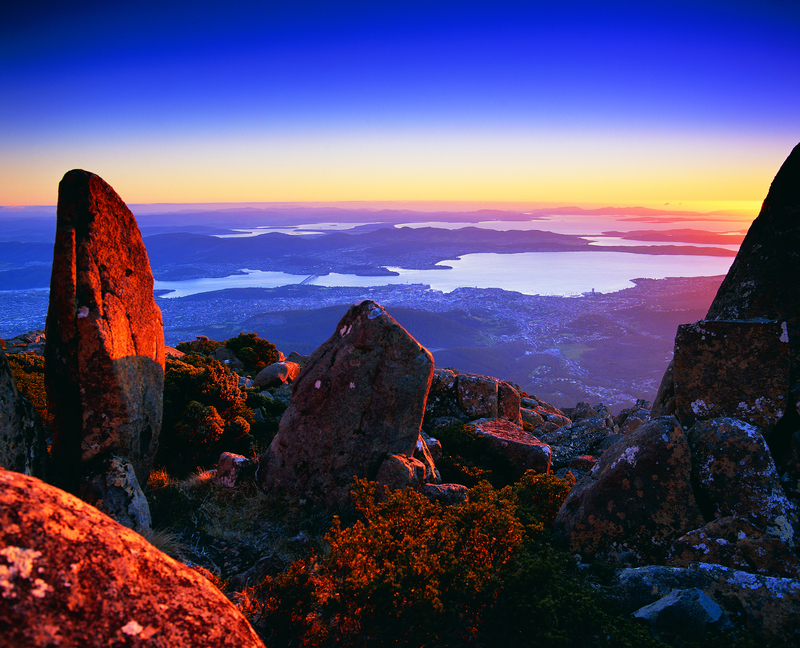 The post, titled View from Hartz Peak thru to the mouth of the Derwent River. Southern Tasmania , describes the scene accurately. I am in awe of Mark’s walk up to the top of Hartz Peak clambering over snow covered rocks and unreadable depressions in the ground. But I am so very grateful to see this photograph. Sensational. 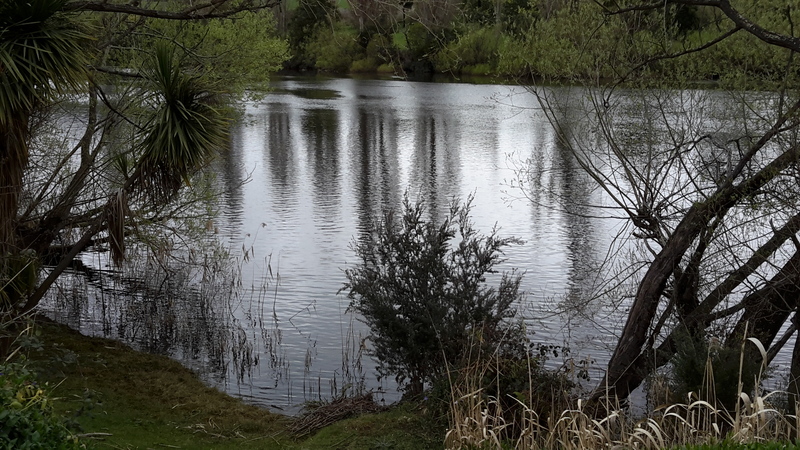 It presents the Derwent River as a soft silvery ribbon. Beautiful! This entry was posted in Derwent River, Walking and tagged Derwent River, Hartz Peak, ribbon, This Amazing Planet on July 17, 2017 by Tasmanian traveller.